THE ROSS CENTER (New York) - Book Appointment Online! 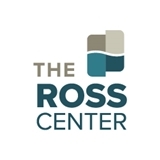 The Ross Center is a comprehensive outpatient practice that provides optimal treatment for anxiety and mental health. With offices in New York, Virginia and Washington DC, we deliver a unique blend of services so you can receive all your mental health care under one roof. Our team of experienced and highly skilled psychiatrists, psychologists, and addiction specialists work closely together to deliver a full spectrum of sophisticated psychiatric and psychological services. We are happy to coordinate care with your current health care providers. We combine state-of-the-art, evidence-based clinical treatment and medication management with exceptional personal service, designed to create a comfortable environment in which you can successfully overcome anxiety, depression, and a wide variety of mental health challenges. She was on time and had taken time to read the information I filled out online before my appointment. She has clearly had plenty of experience as a therapist and in the issues I am dealing with personally with fertility issues and issues around motherhood and marriage. I had a great first session and look forward to working with her. I would highly recommend her! My husband and I, started seeing Bianca for couples therapy. It's been hard to accept that this is something we needed but I'm happy we did it. Change is not going to happen overnight, but we have made a lot of progress. She's an all around MD for my daughter. She listens and thoroughly explains all of her medical decisions. My daughter also feels extremely comfortable with Dr. Joshi.